Our range of high tensile nuts or bolts assembly is an advanced version of stadard hex nut or bolt. Our range is a trouble free mechanical element and these can be tightened with tool/wrench without much effort. While in the processes. Such as assembly. dis assembly and reassemble. TNA helps to save labour and time. We are one of the leading names in our field,passing through some glorious phases of success and development. We are a manufacturer and exporter of all types of nuts & bolts. We have all the capabilities to satisfy all your heat treatment equipment and process requirements with the latest technology available and at competitive costs. 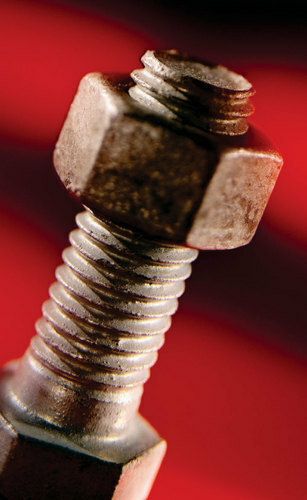 Backed by the team of highly qualified professionals, we offer Square Head Bolts to our esteemed customers. These bolts are available in different specifications and are can be used at various places. It is precisely manufactured using premium grade raw materials that are being sourced from reliable and verified dealers. They are light in weight and can be used easily. Additionally, it is offered at the best rates in the market. We supply comprehensive range of industrial bolts which are renowned among our clients for its dimensionally accurate features. These are widely used in fence fittings and hydraulic fittings. Furthermore, these are manufactured in accordance with international standards and are delivered within stipulated time frame. We are one of the leading names in our field, passing through some glorious phases of success and development. We are a manufacturer and exporter of all types of nuts & bolts. We have all the capabilities to satisfy all your heat treatment equipment and process requirements with the latest technology available and at competitive costs.